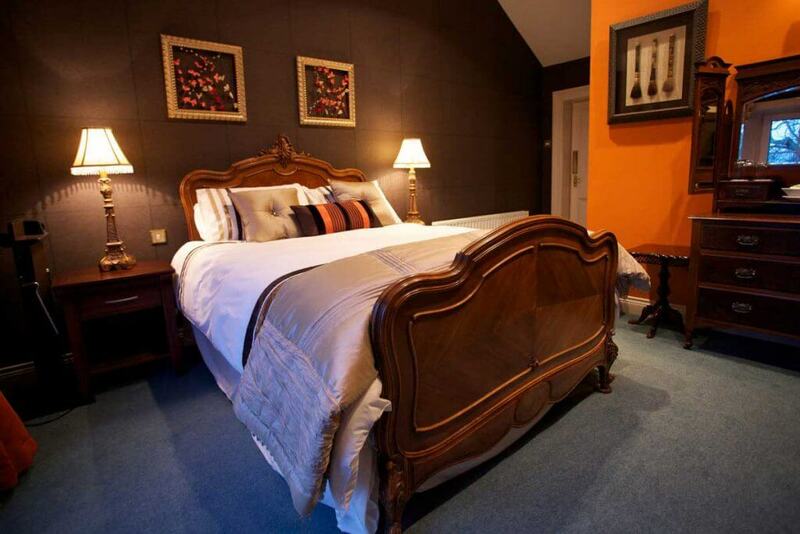 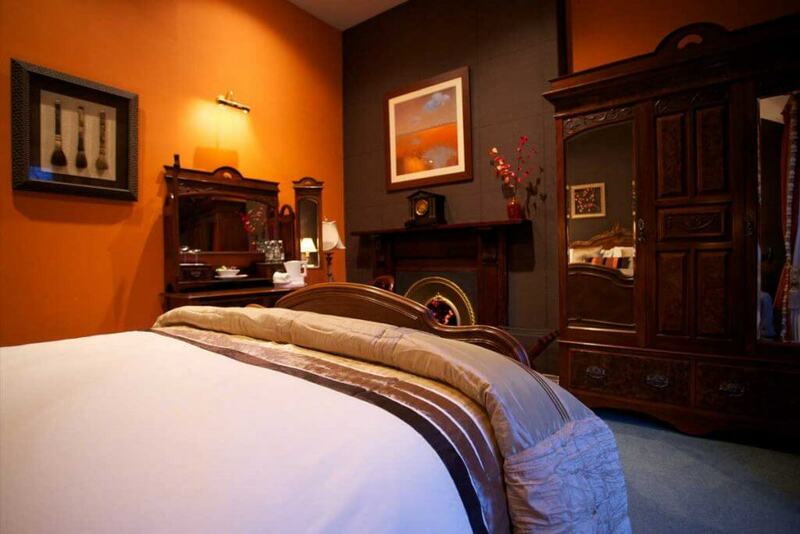 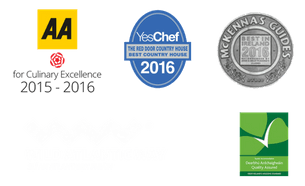 Accommodation at The Red Door Country House near Buncrana in Inishowen is an alternative to hotel accommodation. 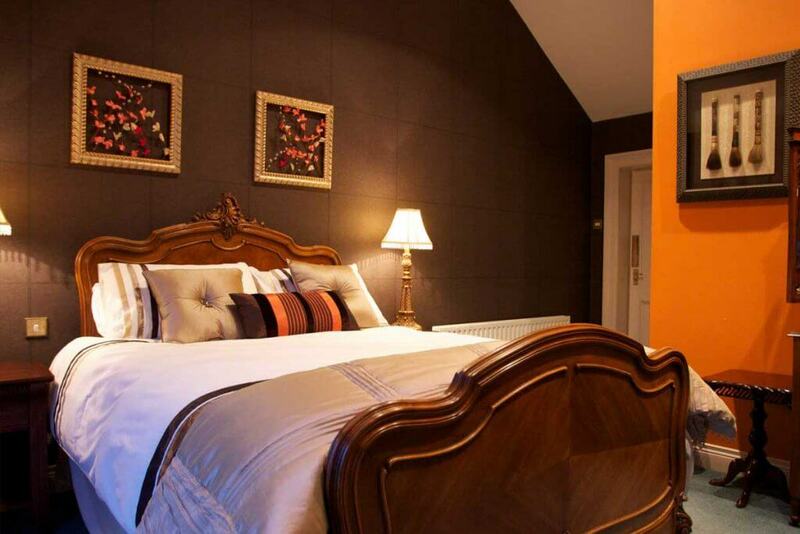 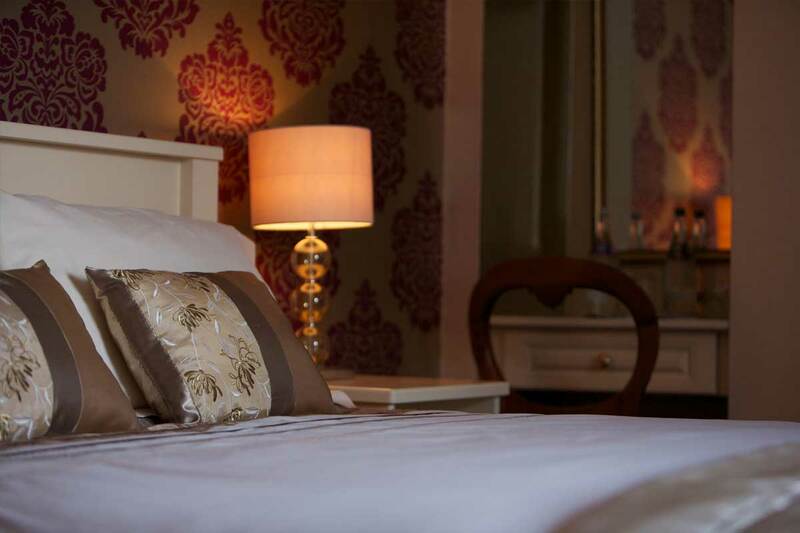 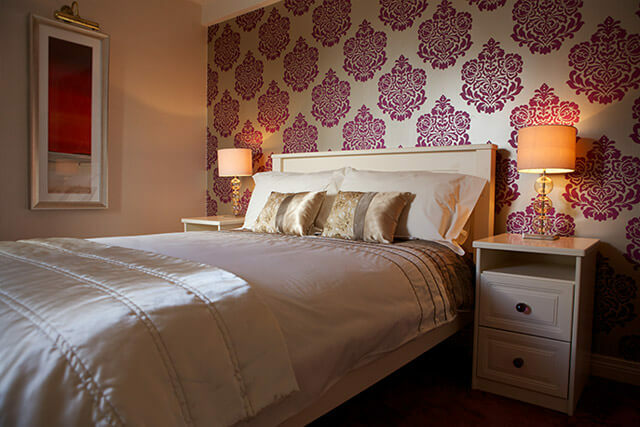 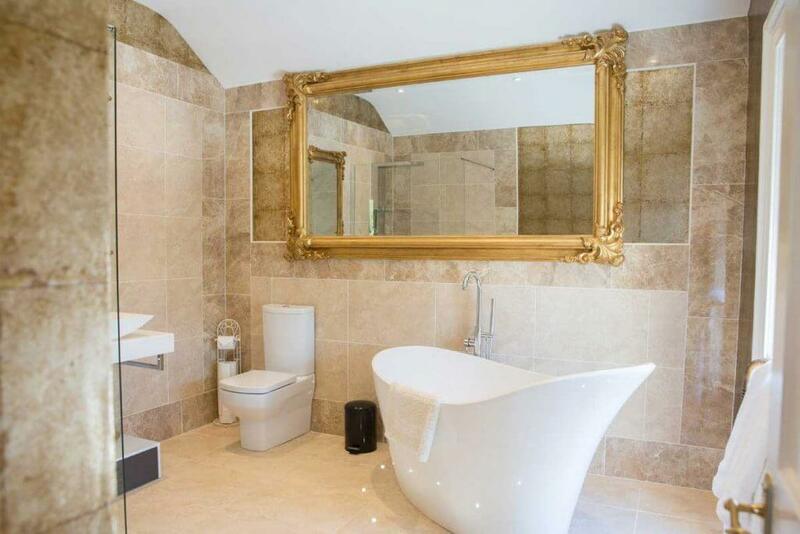 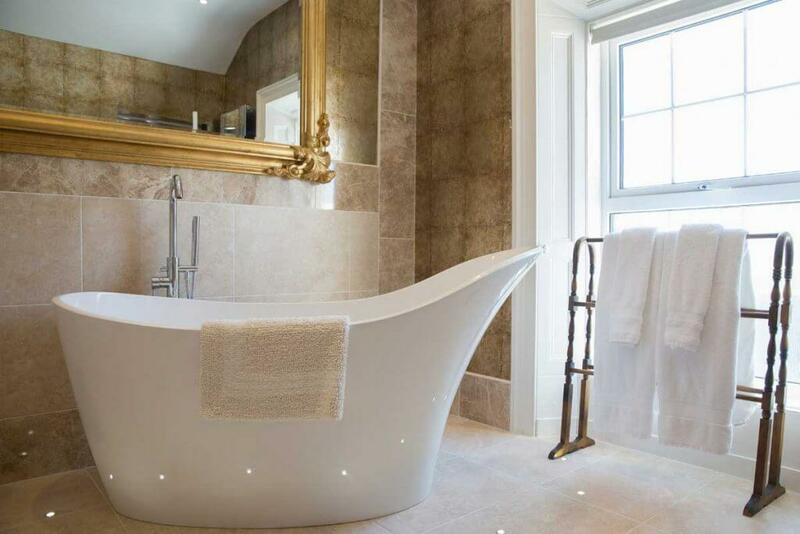 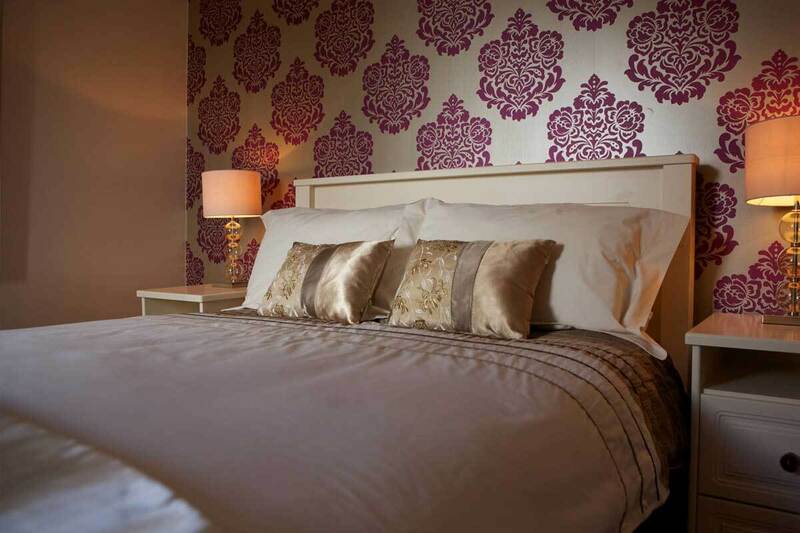 Four individually designed and decorated en-suite double bedrooms are available on a B&B basis on Saturdays only. 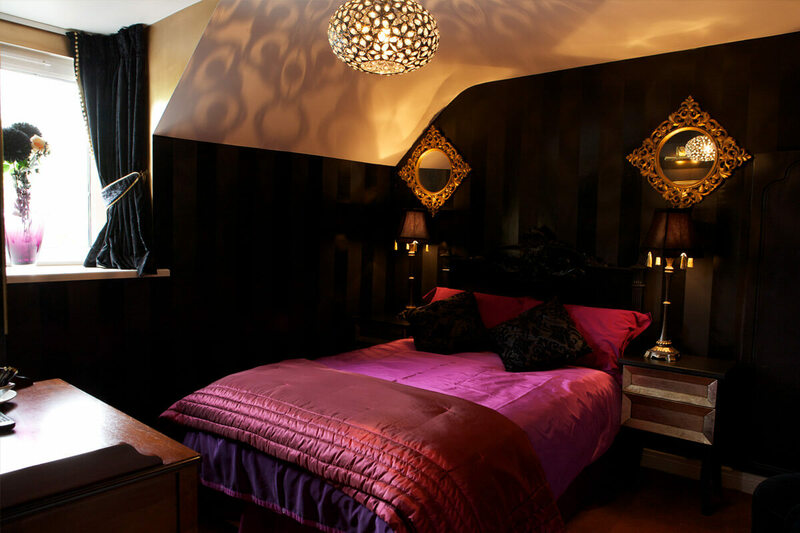 With its sumptuous black wallpaper, imaginative artisan style and dark sleek ambiance, Le Noir stands out as a sublime cocoon of modern décor. 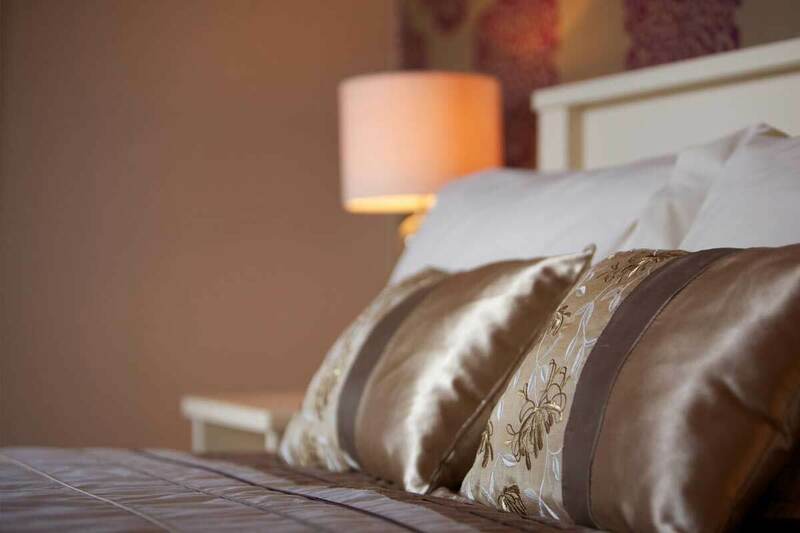 All of our rooms are meticulously decorated with the finest fabrics, furniture and amenities. 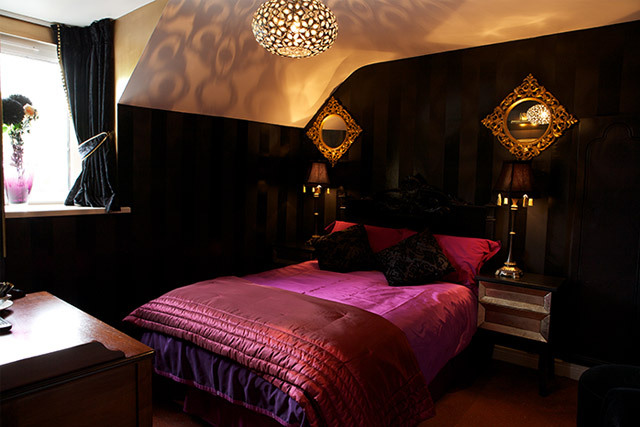 Please note, Le Noir is located above the bar area and noise may be heard at weekends. 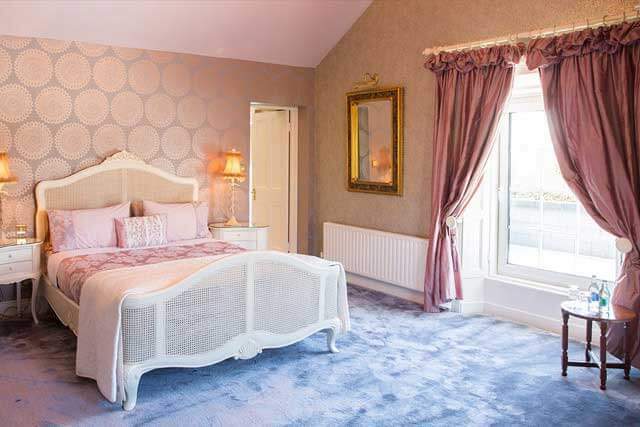 Classic and contemporary blend effortlessly in Le Damask with its elegant damask wallpaper and sophisticated cream furniture. 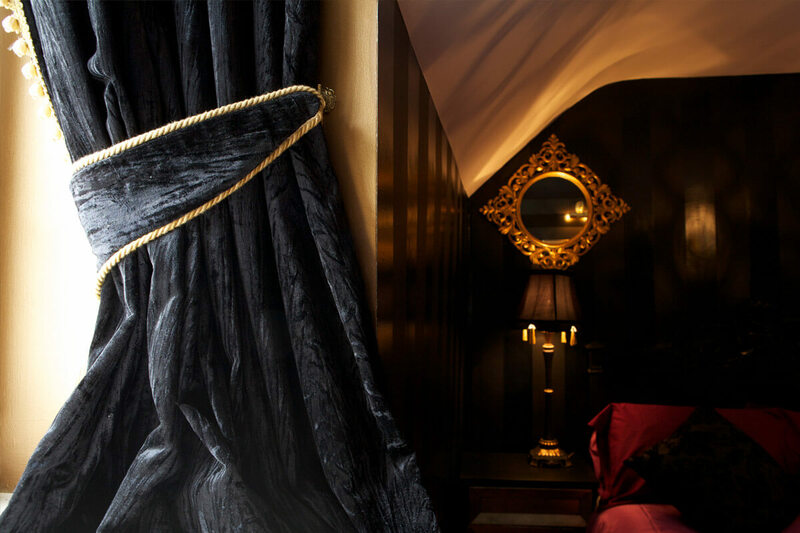 Please note, Le Damask is located above the bar area and noise may be heard at weekends. 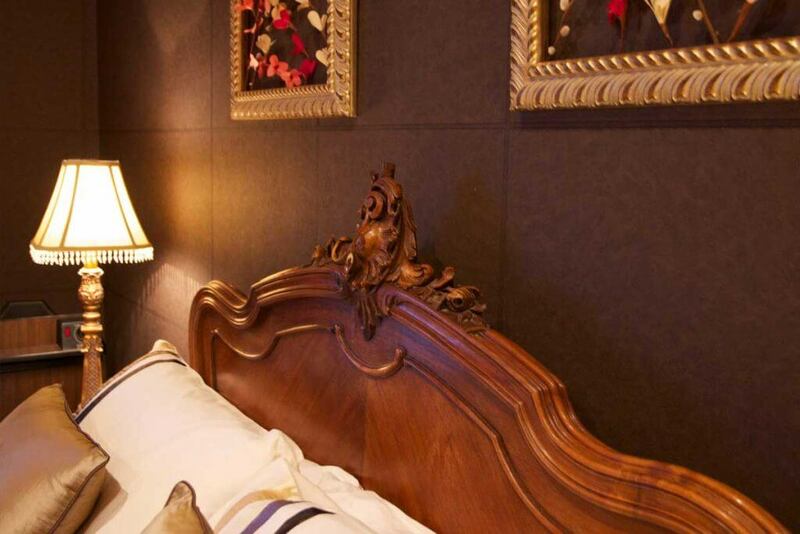 Le Salon has a rich and elegantly designed interior to ensure the utmost in luxury and comfort. 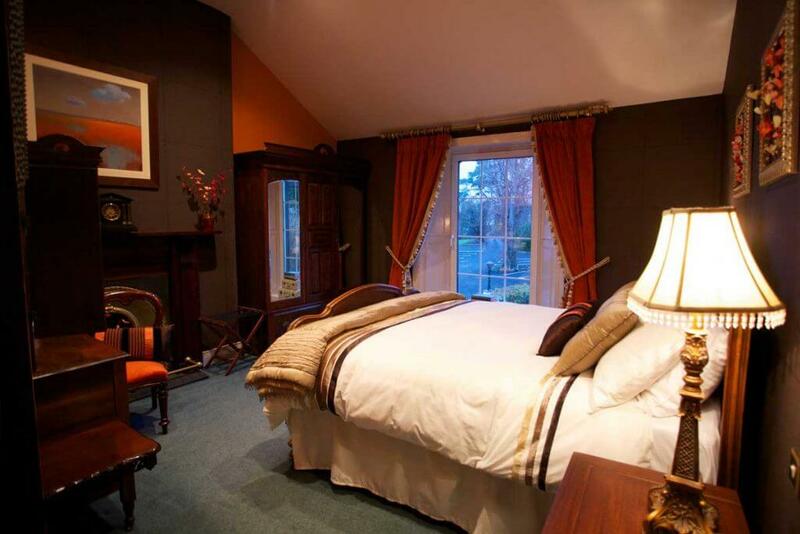 The warm colours are the perfect backdrop for the antique furnishings, whilst the original wood panelled window gives a wonderful view of the glorious Lough Swilly. 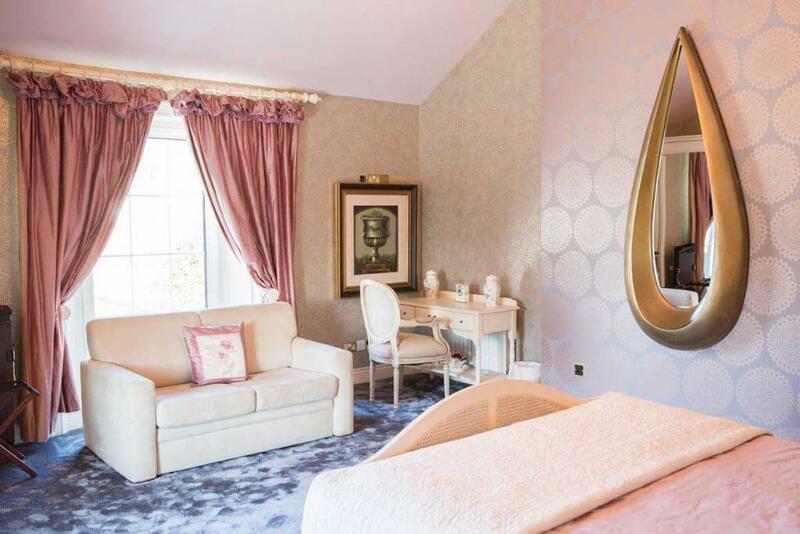 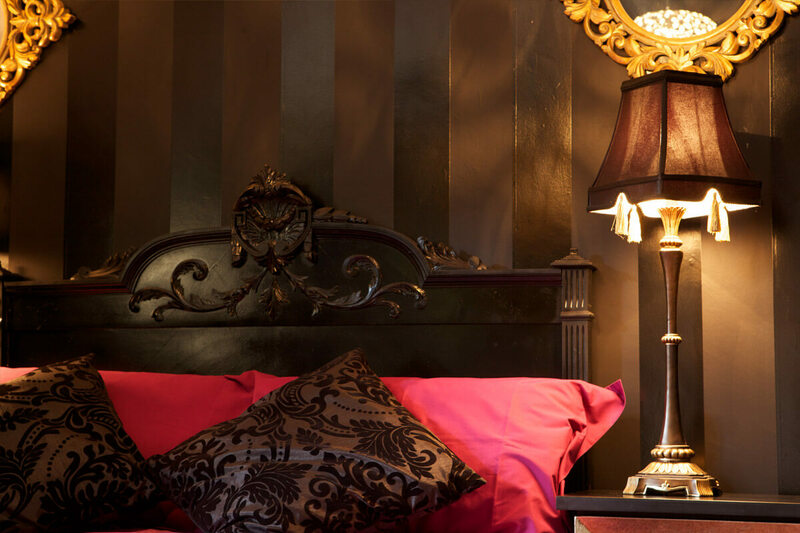 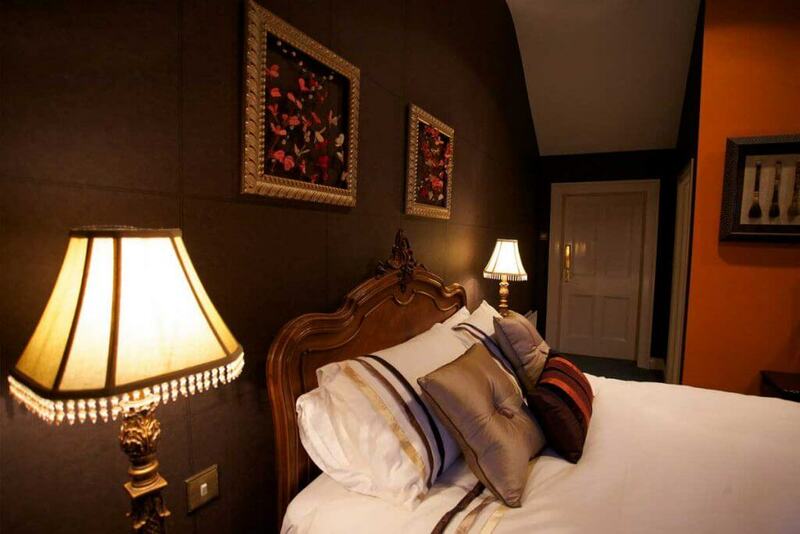 Le Boudoir is a beautifully romantic suite which it is steeped in sheer luxury and opulence. 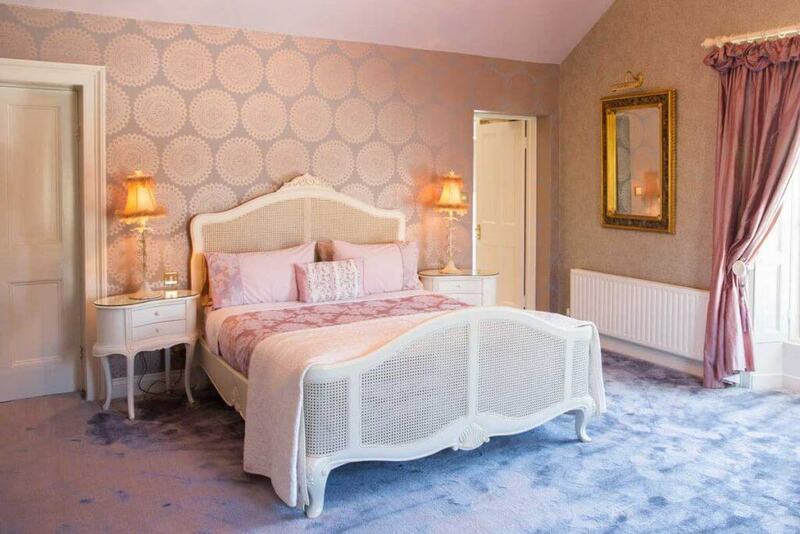 The soft colours and textures exude comfort in an environment that sets a tone to relax you. 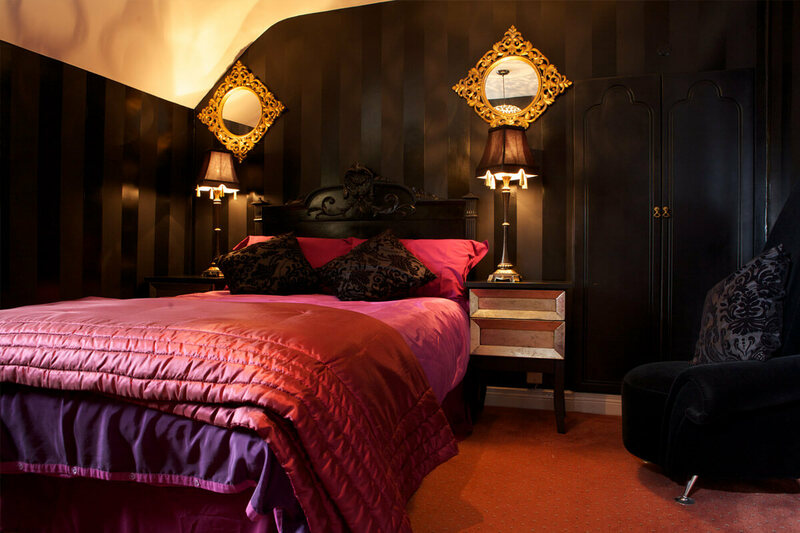 As is the case with all the rooms at The Red Door Country House, Le Boudoir is appointed with loving care and attention to detail and includes a range of amenities and thoughtful touches.